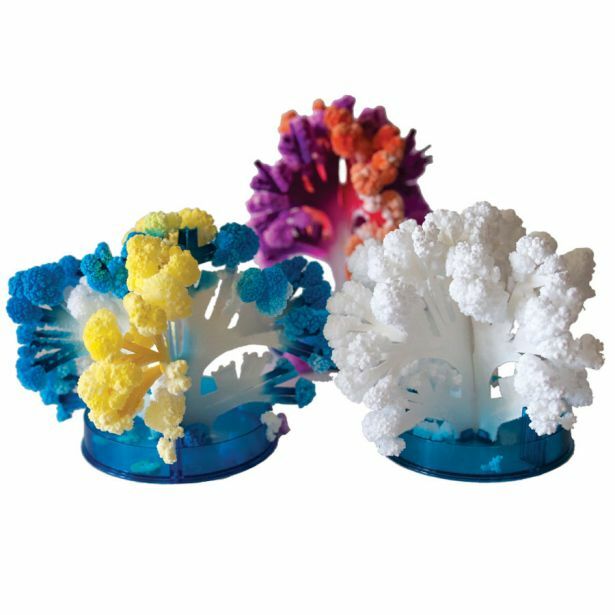 Our Coral Reef kit creates a colorful variety of coral. 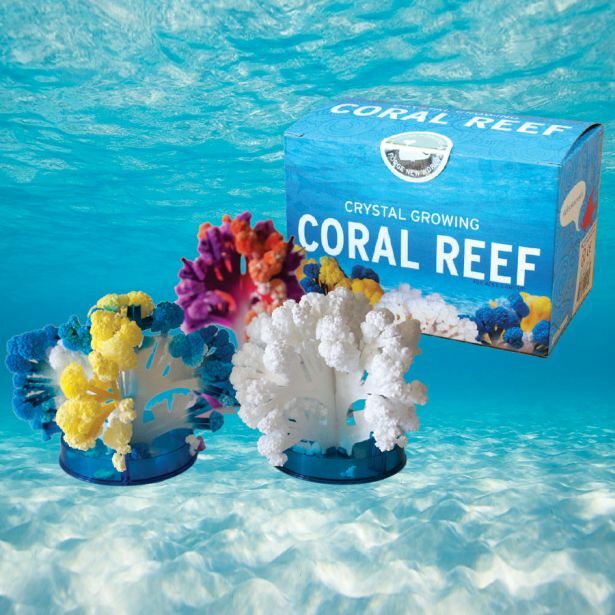 This kit includes 3 coral forms, trays, terraforming solution and instructions. It’s like snorkeling at your desk! 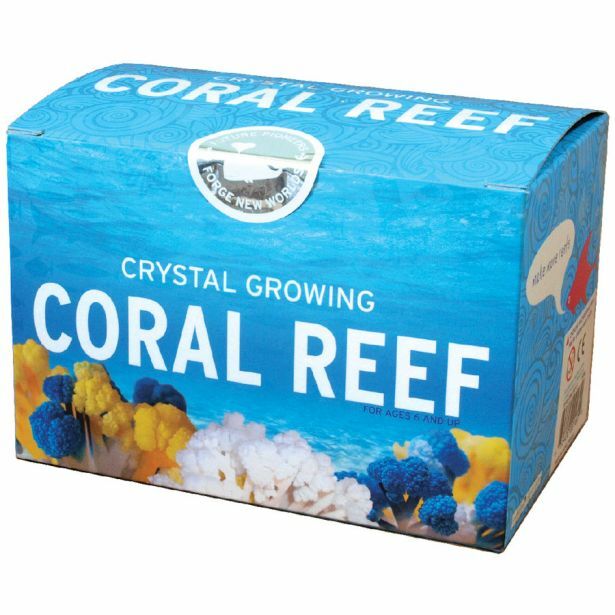 A great reef in a 4x6x4” box.